I received a “fully working” Vendetta PCB off of eBay for a reasonable price. Unfortunately when the board showed up, I immediately noticed there was something wrong with the audio. Any time a speech sample tried to play, it sounded like a static explosion! I unfortunately (maybe a good thing lol) did not capture the ear-splitting bad-audio state with video, but trust me, it was terrible! Like most audio issues, I started with the basics. The capacitors checked out OK. Since the BGM was fine, I didn’t need to test the FM section of the audio circuit. I tested the Op Amps and observed the audio was bad at this stage as well (so that told me the amplification section of the audio circuit was likely OK). 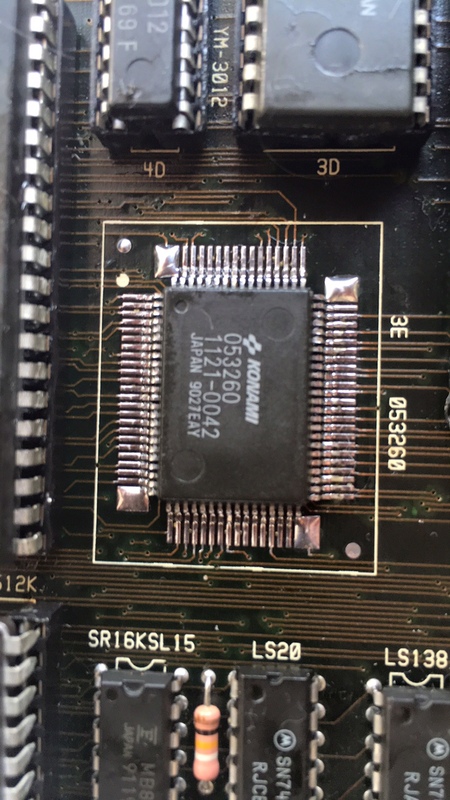 I did not find a dedicated DAC chip on board, which is likely where the fault was going to be. 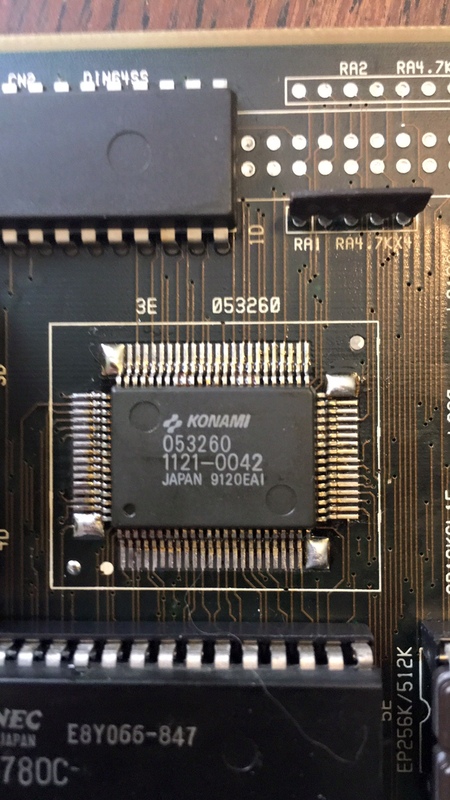 I did some research and discovered the Konami 053260 IC is responsible for digital analogue conversion (DAC). SUCCESS! All audio has been restored and the digital samples are playing crystal clear!